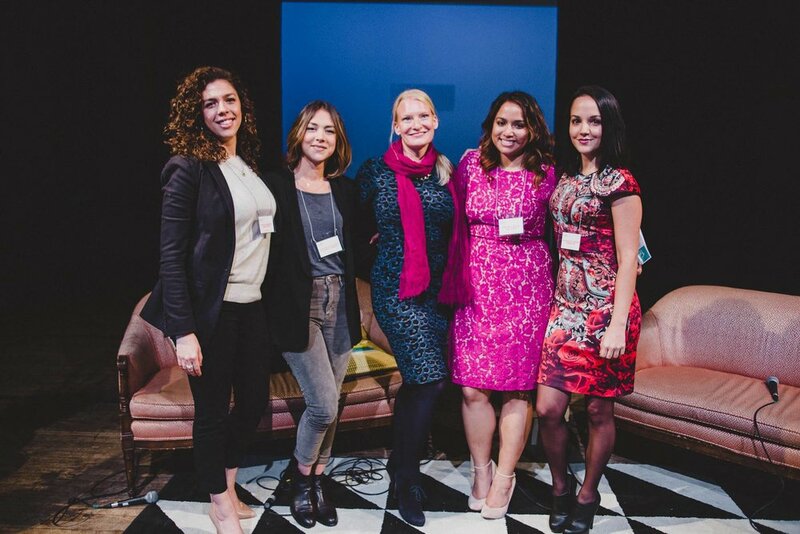 We caught up with Laiza, Melissa & Nikki, the team behind The Fearless Conference to discuss the ups and downs of maintaining healthy lifestyles as entrepreneurs. We discuss meal planning, self-care, separating work from social life and much more. What type of challenges do you run into when trying to live a healthy lifestyle? How do you overcome them? Laiza - Consistency. When you're always on the go and have a busy schedule that can vary from 8 to 12+ hour days, it can be hard to be consistent - you may not always think you have time to make healthy choices nor do you even think about it. To stay consistent, I always make sure to plan ahead when it comes to meals. I throw a healthy snack in my purse, so that I don't reach for alternatives. I also input in my schedule to workout for an hour - that way I do not have an typical excuse of having no time. What are some of your go-to healthy snacks/meals while you're on the run? Laiza - 100 calorie snacks are life and fruit seem to always curve a sweet tooth. When it comes to meals, I make sure it's a variety of food in small portions. It helps to trick my mind into thinking I am eating a lot but it's just a bit of everything that makes for a healthy meal. What does an ideal work day look like for you? How do you squeeze self-care/mental care into it? Laiza - An ideal work day would consist of no social media trolls, average amount of unopened emails, a to-do list that gets smaller and smaller every 30 minutes, and cocktail by 5:30pm. Through it all, it's always good to just stop and step away from the computer. For self-care, often times I take a walk to the nearest coffee shop or sit outside on my office's stoop for a bit. Just stepping away and coming back gives the mind a bit to cool off and restart. As an entrepreneur, how do you separate work from your social life? Melissa - By making a conscious effort to be as present as possible when I’m with my friends. I try to stay off my phone in group settings and really enjoy where I’m at and the people around me. Sometimes though, being in a social setting is work - especially as a freelancer - so I try my best to maintain as professional as possible (i.e. by not drinking too much or being too loud in public). You never know who’s watching or who could be your next client! Are you currently working on any big projects? Melissa - We’re gearing up for our second annual Fearless Conference! It’s a two day event in Philadelphia for ambitious women to come together and get motivated to be their best assets - both in and out of the workplace. We have workshops, panels and activities for all women, and our speaker list is pretty amazing and so diverse. We’re very excited to be hosting this conference again and to meet everyone attending. Women empowering women is a pretty beautiful thing! 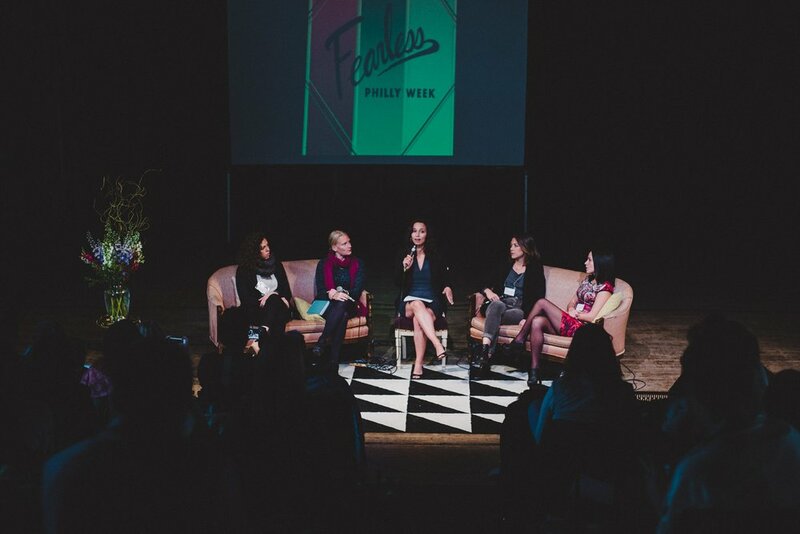 What are you looking forward to most at the Fearless Conference? And are there any sessions that focus on health/wellness - what are they? Nikki - I'm looking forward to the 'I can do anything!' feeling after Fearless is over. Hearing people's stories and finding women to relate to is invigorating. I remember leaving last year's conference ready to take on whatever life had to throw at me, with the help of invaluable advice and irreplaceable friendships. The next day is full of well known keynote speakers and panelists that I'm sure will speak on how they maintain a healthy lifestyle since it's such an important aspect of being and staying successful! We hope to see some of the City Fit Girls members at Fearless this October! Melissa, Laiza, & Nikki are hooking us up. Use the code “cityfitgirls” for 20% off tickets (Cannot be applied to student tickets). 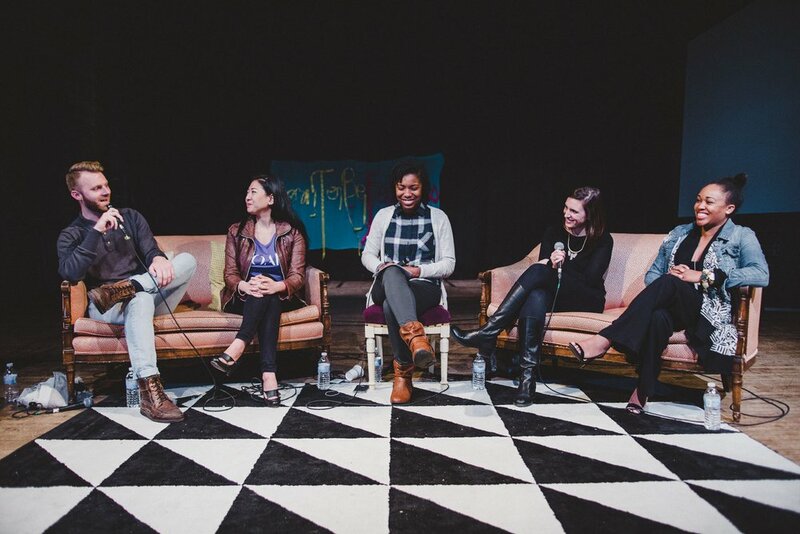 Check out photos from last year's event below and learn more about The Fearless Conference here. Want more blog posts and resources from City Fit Girls? Sign up for our newsletter here and get tips and our free training programs delivered to your inbox every Monday morning.